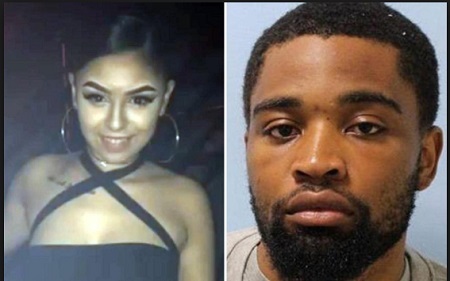 A court in London has handed a Nigerian man a prison term over the murder of his girlfriend. A man has been jailed having previously pleaded guilty to manslaughter. Oluwaseyi Dada, 21, was sentenced at the Old Bailey on Thursday, 31 January to two years and three months’ imprisonment. Detective Inspector Domenica Catino, of the Homicide and Major Crime Command, said: “A young woman has lost her life and our thoughts remain with her family and friends, who have been devastated by Katrina’s death.“This case is a tragedy for everyone involved. This was a case of manslaughter in which the victim had taken a knife to the scene. After an altercation with Dada this knife – which had never been taken out of the bag – pierced the bag, stabbing her in her chest resulting in her death.“This is unfortunately another sad example of the consequences of carrying knives. We must all work hard to prevent any further loss of lives.” The court had heard how Dada and 17-year-old Katrina Makunova had been in a relationship that had recently deteriorated. A series of social media communications between Dada and Katrina were obtained by police from the victim’s mobile phone. These posts showed there was a feud between them, with both parties making veiled threats and insulting each other. On 12 July 2018, Katrina had gone to the lobby of a block of flats on Brisbane Street where Dada lived. The pair encountered each other on the ground floor and a struggle began. During the course of this altercation both of them fell, but unfortunately Katrina was carrying a knife in her handbag Katrina fell onto the handbag, causing the knife to pierce the bag and then stab Katrina in the chest. Police were called at 12:16hrs to reports of the incident and on arrival officers found Dada and administered CPR to Katrina. The London Ambulance Service and London’s Air Ambulance also attended. Despite the efforts of paramedics, Katrina was pronounced dead at the scene at 13:02hrs. A post-mortem examination took place on 14 July 2018 and gave cause of death as a single stab wound. Dada was arrested on suspicion of murder at the scene and subsequently charged with manslaughter on 13 July 2018.